Create a beautiful design for your blog with this plugin (a banner displayed on your blog or a paid account on our server is mandatory in order to use this plugin). 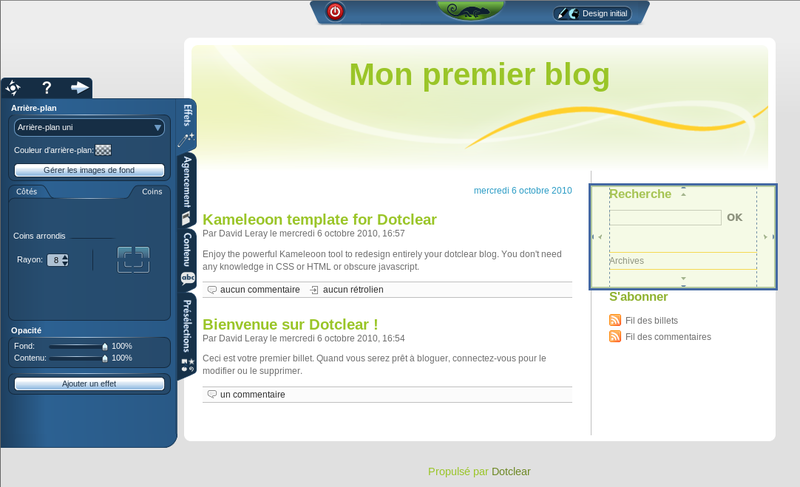 Kameleoon is a web design tool that allows you to instantly modify the visual appearance of your blog (or other website). Thanks to its easy yet powerful GUI, you can author beautiful and professional looking themes - without knowing CSS or HTML. Warning : this plugin requires a banner displayed on your blog or a paid account to our services.